Best Thursday ever! 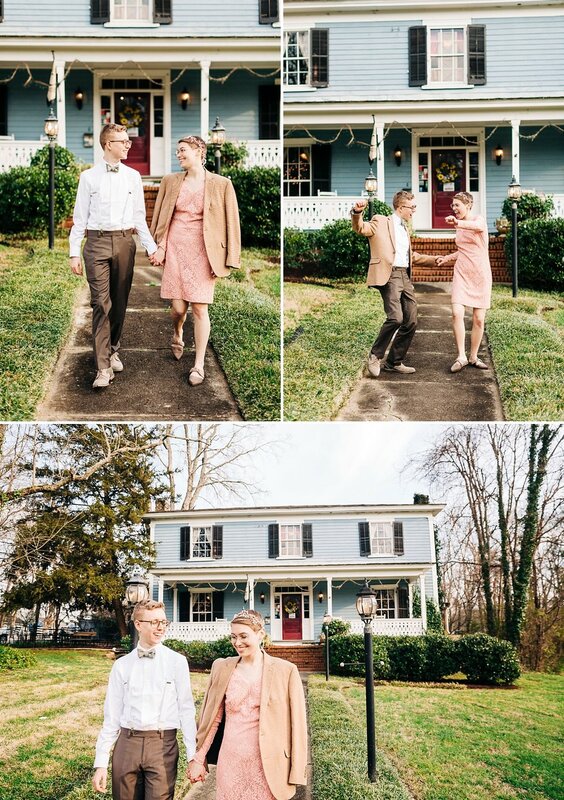 Last week we got to hang with Conor and Marianna at Cooper’s Landing Inn while they eloped! It was AWESOME. I can’t believe this venue is only 30 minutes from our house and we’re just now finding out about it, someone take us back! These two are just the sweetest humans of all time and it was so nice to be a part of their day. They had a quick + heartfelt ceremony in the garden and then we spent the afternoon exploring the grounds, doing sick dance moves, eating cake, and stalking the various cats roaming around. Oh yeah we took some pics too. Marianna wore a beautiful blush lace shift dress and had the most stunning beaded headpiece. I kind of just want to buy one for everyday fabulousness. Conor learned how to tie a bowtie and paired it with a smart blazer. Peep that awesome triforce tattoo he’s rocking, we knew immediately we were gonna get along just fine. They had the perfect low-key day and we’re so glad we got to tag along. Jared and I left with serious wedding day envy, we should have eloped ya’ll. It was super chill!